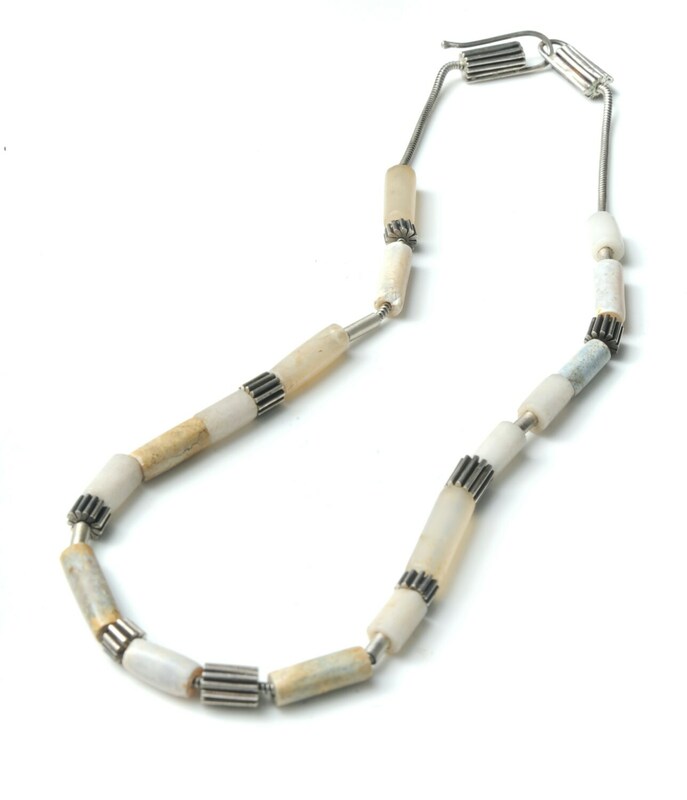 Antique quartz beads are strung along side handmade sterling silver beads. 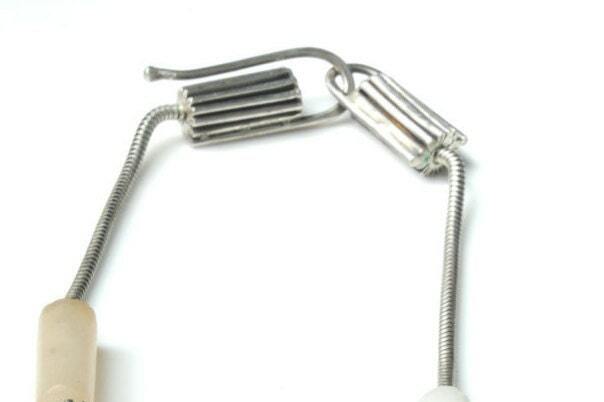 The original bead was made by very tightly fold forming one piece of silver. These beads were made by casting the original, and slicing them to make different sizes. 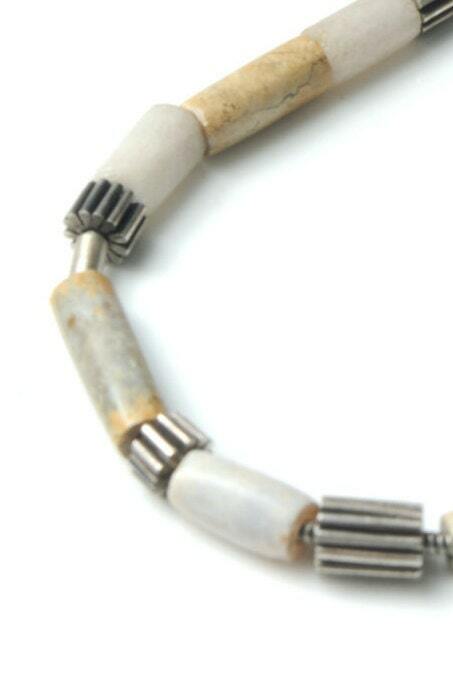 The clasp is also made by adding to this original bead. 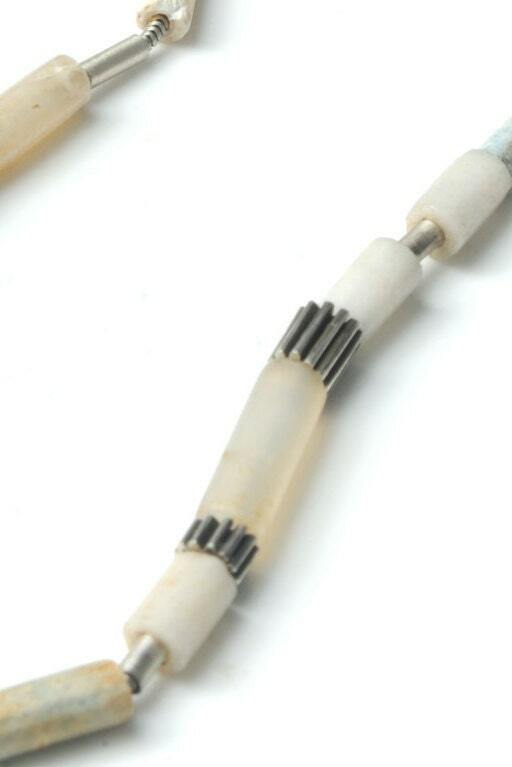 Between some of the beads are hade made silver tube beads. They are all strung on unseamed sterling silver snake chain. It is 17" long.